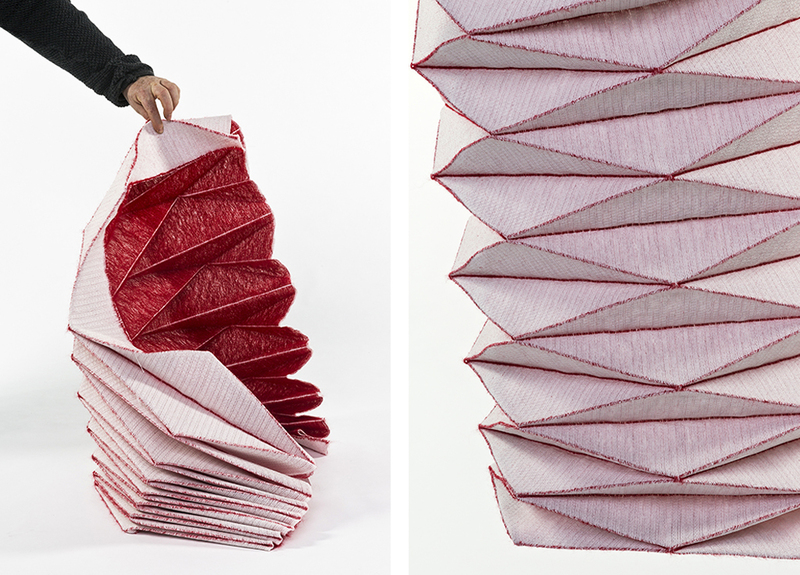 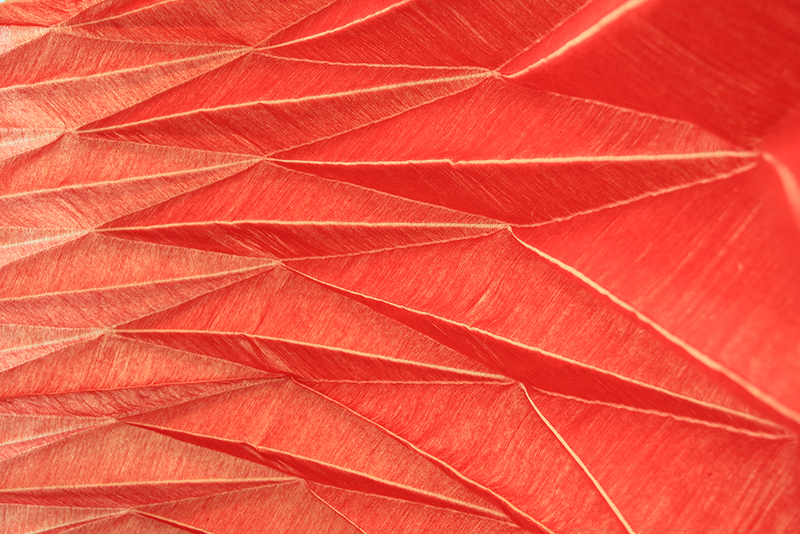 ArchiFolds is an innovative series of textile structures inspired by traditional Japanese folding techniques: “Embedded origami patterns afford natural movement characteristics, growth and metamorphosis”, explains Samira Boon. 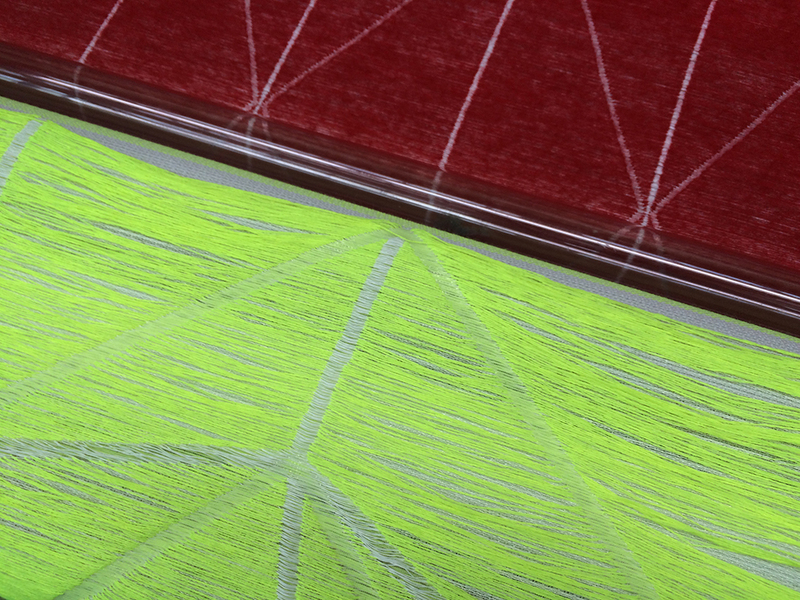 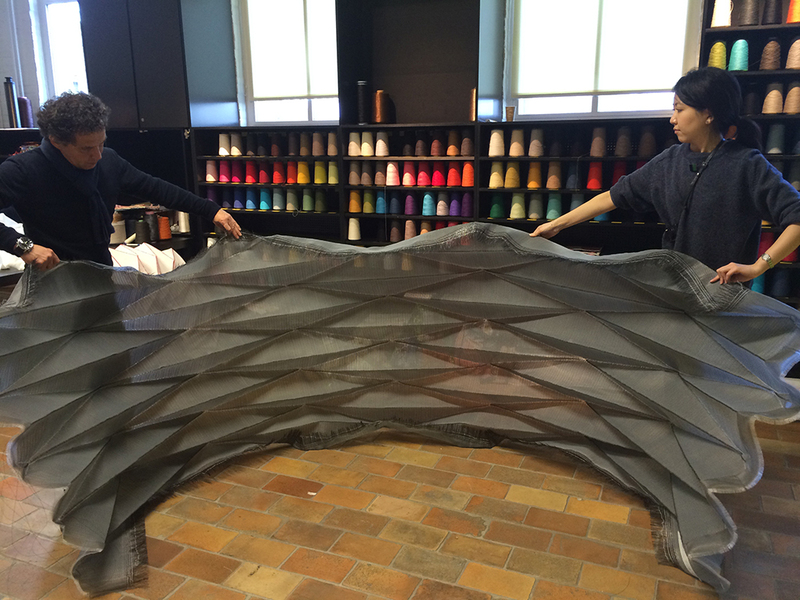 The textile structures are the result of extensive and on-going research by Studio Samira Boon in collaboration with TextileLab and Prof. T. Tachi from the University of Tokyo. 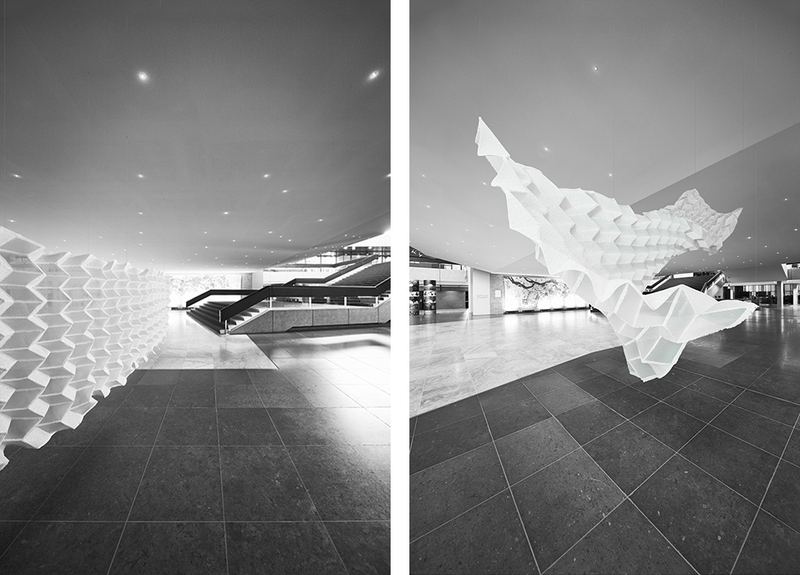 ArchiFolds embodies Samira Boon’s vision on healthy environments as spaces that “are flexible and dynamic like natural systems. 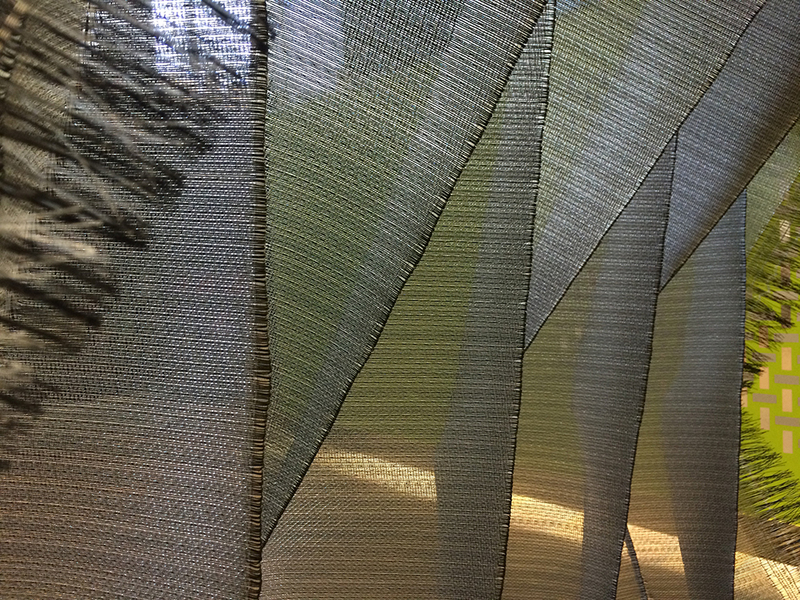 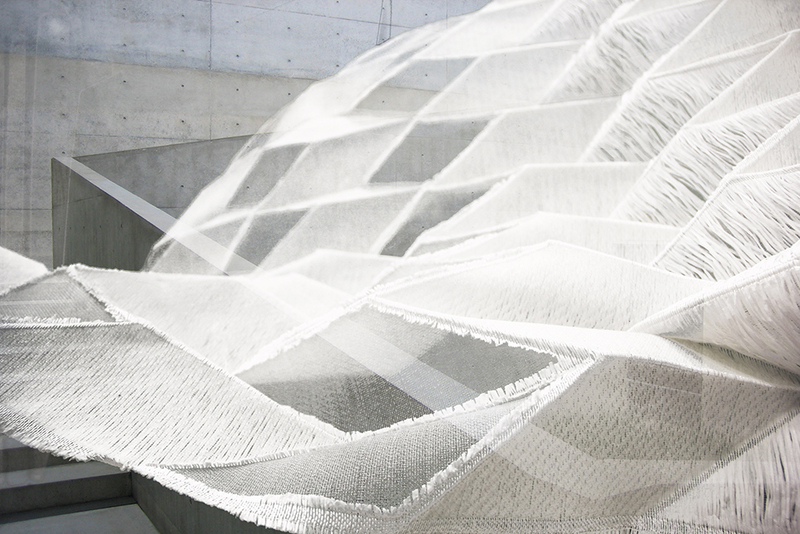 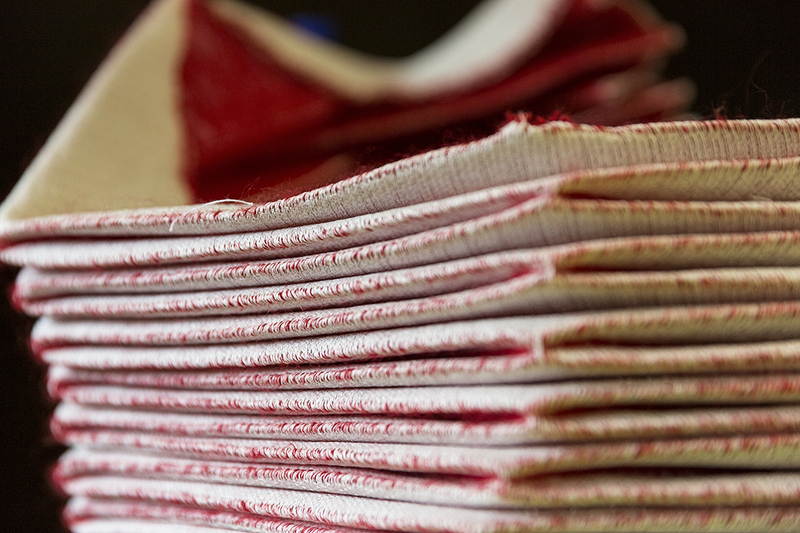 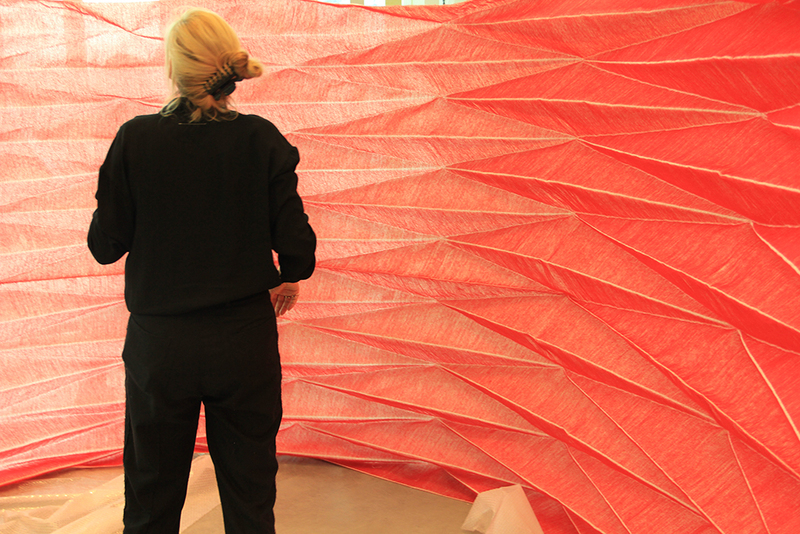 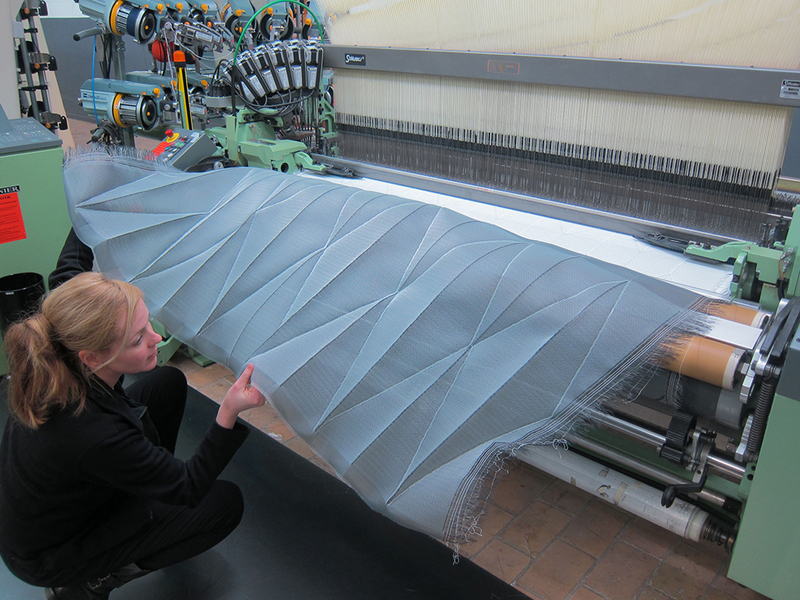 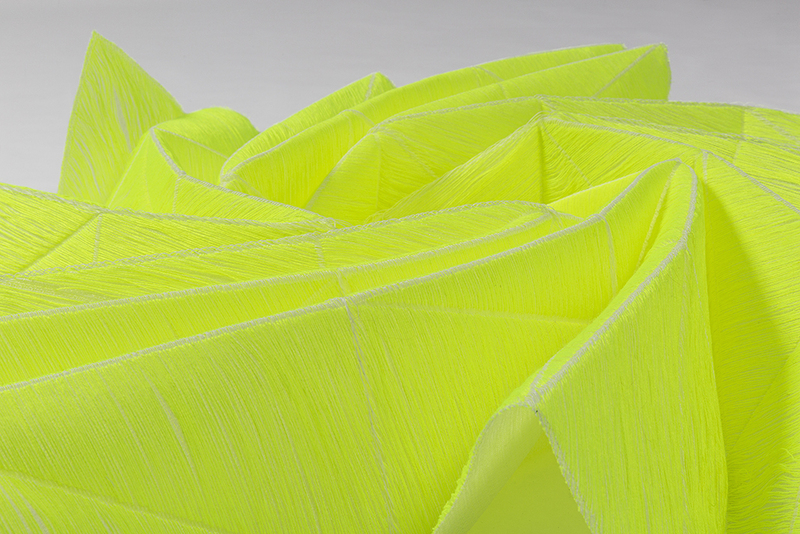 Adaptive textiles are able to accommodate and regulate changing needs on spatial circulation, efficient energy usage and acoustic ambience.” By translating traditional paper-folding into digital weaving techniques, she created architectural interventions that are extremely flexible in their use and possibilities. 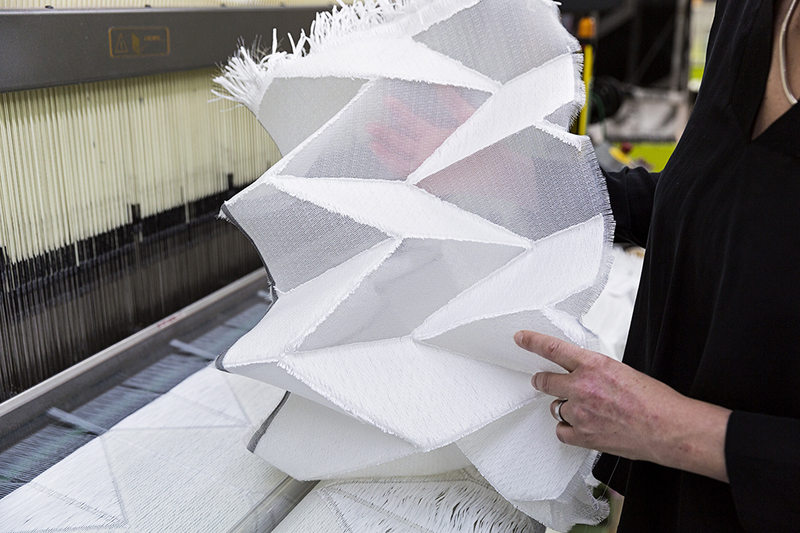 The woven structures can be folded and unfolded into different shapes, allowing two identical products to be installed in completely unique manners, re-used in different shapes and sizes, installed permanently or temporarily, and easily transported or moved. 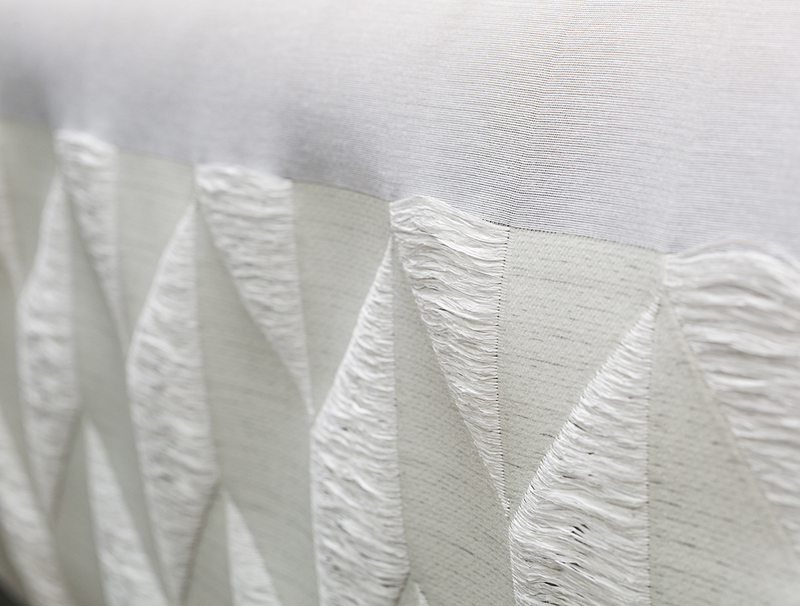 They can incorporate various smart properties that allow them to adapt to their surroundings – including light, heat or sound – while retaining a soft and tactile appeal.